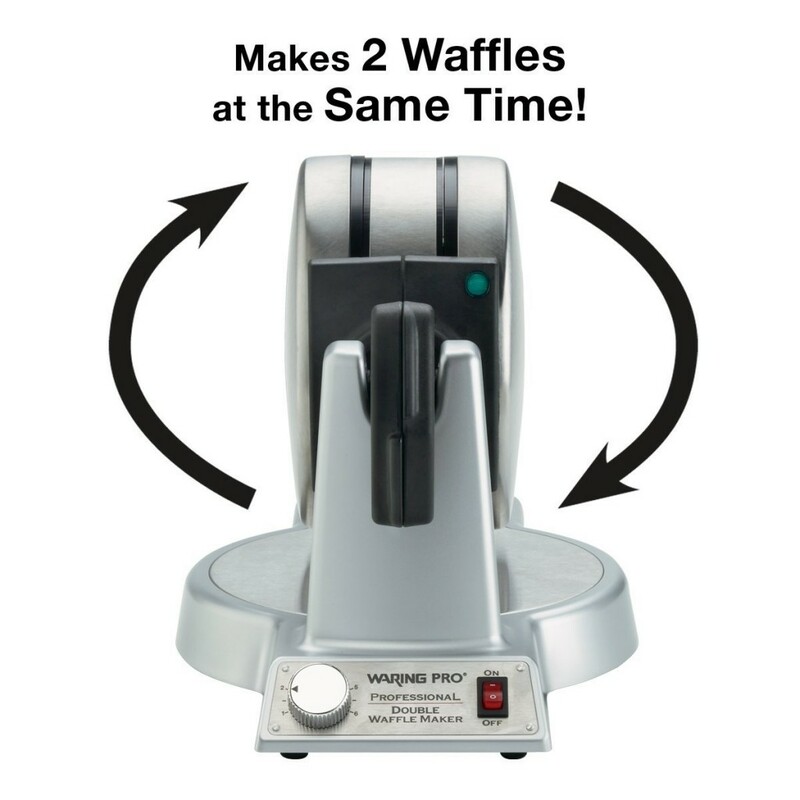 Need I say more… It makes two waffles at the same time! It is an amazing invention and we love this waffle iron to pieces (if it’s possible to love a waffle iron like that). My mom and dad gave this little gadget to us for Christmas a couple years ago and we LOVE it. Along with our baby cakes waffle maker (a post I’ll do another day) these are by far our favorite waffle makers. I love that it makes 2 waffles at the same time, it really cuts down on the amount of time you have to spend cooking waffles (and who doesn’t want more time) you can also adjust how hot you get the iron so you can decide if you want them to be crisp or a little softer, it also has the deep groves so it is perfect for Belgian Waffles or regular waffles. 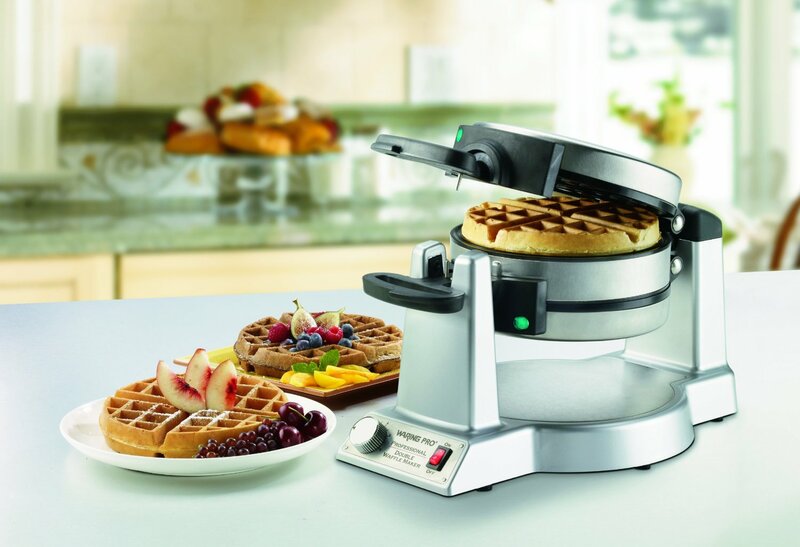 This waffle iron is similar to the industrial Belgian Waffle makers you find in hotels or cafeterias. This little guy would make a great Christmas, Birthday or Mother’s Day gift for grandma’s or mom’s, or sisters, or aunts or friends, if you are like me you would be thrilled to have this baby in your kitchen. Enough about how much I love it here’s where you can get it if you want one for yourself. On a chance you might be able to find one at Costco but it’s mostly chance, I haven’t seen them there for a couple years (these babies aren’t super easy to find) and if I remember right the Amazon price right now is cheaper, here is a link for it on Amazon. Happy double waffle making!